This entry was posted in homeowners insurance public adjusters and tagged benefits of a public adjuster homeowners insurance Tips on May 28, 2015 by AAAPUBADJ. Burst Pipes!? Where Should You Go? This entry was posted in public adjusters and tagged burst pipes plumbing winterization on February 9, 2015 by AAAPUBADJ. 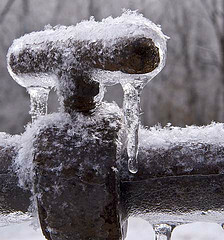 Prepare your residential and commercial properties for the freezing conditions that are taking the Northeast by storm. There will be snow up to 6″-12″ across the area. Many winter storms are accompanied by dangerously low temperatures and sometimes by strong winds, icing, sleet and freezing rain. Be sure to use your water faucets, showers, and toilets frequently & at luke-warm temperatures in order to minimize the risk of pipes freezing over. A WINTER STORM WARNING is in effect for most of the area today from the Lehigh Valley all the way to the shore. A WINTER WEATHER ADVISORY is in effect for the Poconos. The snow is expected to intensify during the afternoon and evening hours. SNOWFALL: A general 6-12″ is likely across the vast majority of the region with the highest amounts more likely along counties surrounding I-95. 3-6″ is expected in the Poconos. Close to the coast from about Atlantic City South into Sussex County, Delaware, lesser amounts are possible (3″-6″), as it appears the early heavy snow bands are missing the Shore. Snowstorm Hercules has blanketed the region with frigid and snowy conditions; as a responsible home or business owner, inspect how your property may be impacted by this wintry blast. If you find damage and have insurance, AAA Public Adjusters is here to help. Whether your pipes have frozen over or the snowy winds have damaged your roof, windows, or rooms, we have property loss consultants standing by. Before calling your insurance company, submit a free consultation form or call us today to speak with a property insurance specialist. Even if you have spoken with an insurance company representative, AAA Public Adjusters may still be able to help. Here comes round 3 in a week of snow and winter storms. More snow is expected to move into the tristate region Saturday and it could be a significant event depending on where you live. This storm should take the traditional path that leaves more snow north and west of the I-95 corridor. After the recent heavy rain, homeowners may have questions about what damages are covered by insurance. Flood damage. Standard homeowners and renters insurance does not cover flood damage. 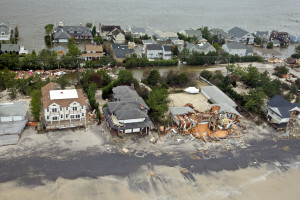 Flood coverage, however, is available in the form of a separate policy from the National Flood Insurance Program and takes 30 days to become effective. If your flooding was related to sewage backup, ask your insurance agent or carrier if an endorsement for sewer backup coverage was added to your homeowner’s policy. If so, your losses may be covered if the water damage was caused by sewer lines backing up through your home’s drain pipes. Call AAA Public Adjusters. Power outages. Generally, there is no coverage for damage or a loss caused by a power outage if the source of the power outage did not occur on the insured premises. However, if the source of the power outage occurred on the insured premises, there is coverage. Removal of trees and branches. 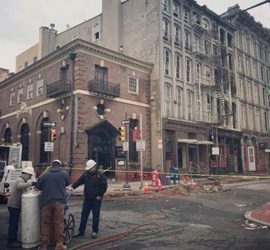 The removal of downed trees and/or debris is covered if there is damage to a covered structure or the Pennsylvania governor declares the area where the damage occurred is a disaster area. Additional living expenses. There may be an allowance for offsite housing until your home is repaired. Keep all your bills and payments made for offsite housing. Do not throw away your damaged property and do not make any permanent repairs. Your claim could be denied if the insurance company or adjuster is unable to see the extent of the damage to your property. If you do make permanent repairs before the adjuster has seen the damage, your claim could be denied. Be wary of anyone who knocks at your door and offers to do your home repairs. Natural disasters can be a magnet for scam artists. Know your options when working with a property claims adjuster. 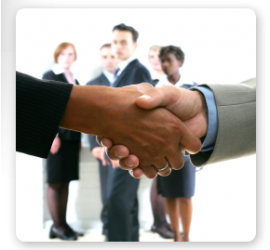 You have the option of working with a company-appointed adjuster or you may choose to use a public adjuster to assist you in filing your claim. Be aware that company-appointed adjusters are working for the insurance company and, as employees, have a strong interest in denying your claim or paying less than what you are entitled to under your policy. 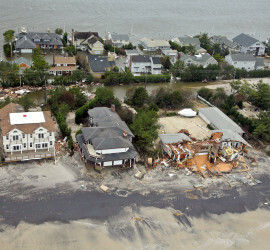 While public adjusters charge a fee, they are professional experts in preparing and filing insurance claims, lack the conflict of interest of company-appointed adjusters by exclusively serving your interests, and the increased amount in recovery when utilizing their services serves to offset their fee. Be sure you are working with a reputable, dependable contractor. The cold front that brought tornadoes to the Midwest last Friday and severe weather to the Northeast on Monday has stalled off the East Coast. It’s become entangled with a weak area of low pressure, the echo of what used to be Tropical Storm Karen over the Gulf of Mexico. At the same time, zones of high pressure are camped out north and east of this disturbance. Together, these two persistent surface pressure features will remain parked along the East Coast for the next several days. With the low hovering just offshore, and strong high pressure to the north, nearby coastal areas will be dealing with bands of rain and blustery onshore winds. The fetch of onshore winds will cause some problems along the coast. Prepare your home for the Nor’easter slamming the US East Coast this coming weekend. If you suffer damage to your home, business premises, or business operations from the inclement weather, and have insurance, call us (or click here) for a Free Consultation.